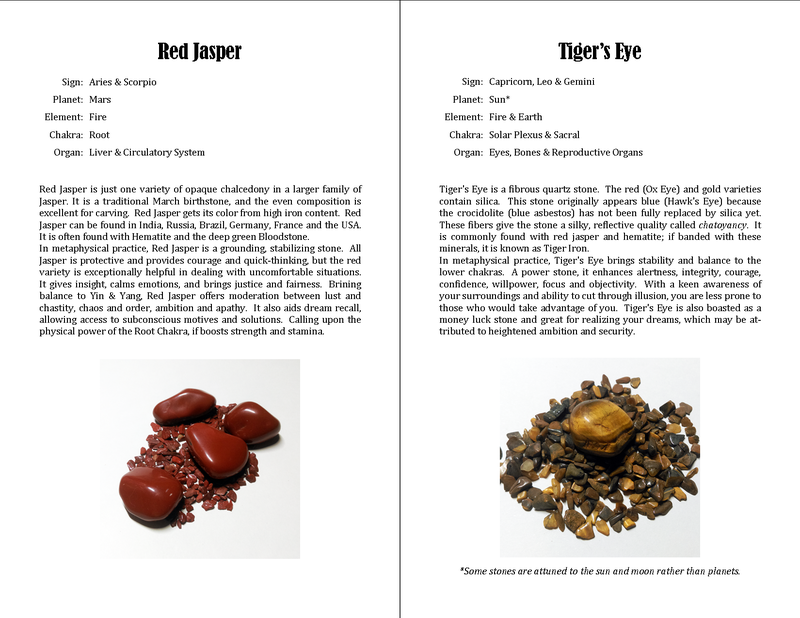 The next set of pages are ready to be printed and added to your stone collection. Since the last set, I popped into Staples to pick up a half-page binder and some sleeves for my printouts. Now I have a place to put all the cool stickers I’ve been getting lately! 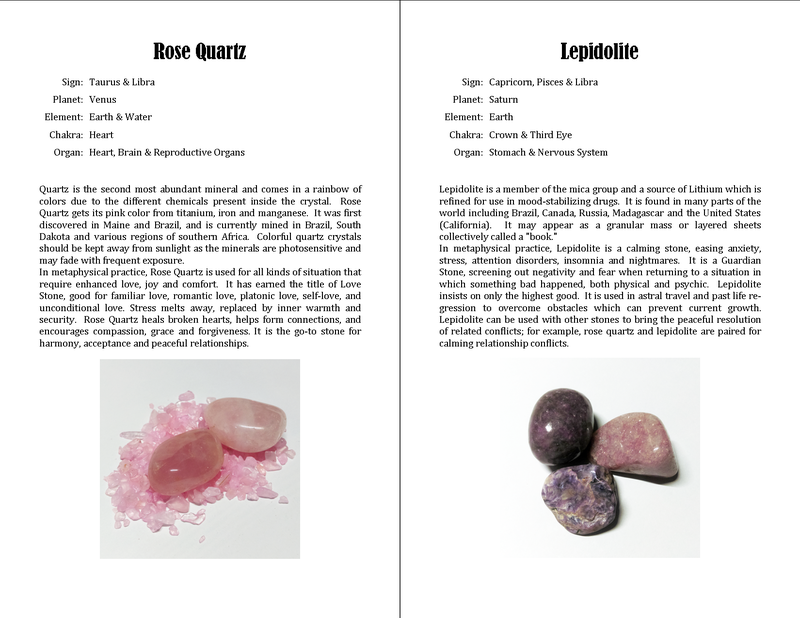 Coming up this month: bloodstone for sure, aquamarine most likely, and perhaps amazonite. If I get my hands on a piece to photograph, I will cover it. I’m not sure what I will do with the diamond and sapphire birthstone folks. Those are too expensive for practical use when other stones would do the job, but celestite shouldn’t be too hard to get.